A great website can be defined as ‘an idea designed for maximum impact’. Our main target, while developing a website, is to strike the right chord with the target audience. And let’s admit that creation of a website is not as easy as it seems. It’s not always a great idea that makes a great website. Even simplest of ideas can be used to create great websites. To do that, we need to consider every important aspect and inherent feature that a website includes. There are five biggest challenges that website creation entails. They are also the most important inherent features of a website. These include accessibility, compatibility, navigability, readability and usability. Let us discuss these ‘abilities of a website’ in detail. 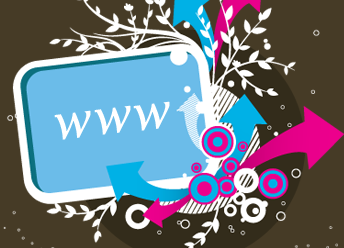 Undoubtedly, the web has become increasingly important in several aspects of our lives. The very first challenge in website creation is to make your website as much accessible as possible. But, how do you define ‘web accessibility’? Well, website or web accessibility can be defined as the practice of making websites accessible for people of various backgrounds, abilities and disabilities. To create a website which is accessible, you need to design and develop it in a way that all users have an equal access to the information, functionality and features of the site. The next very important but sadly one of the most overlooked aspects of website creation is compatibility. Also referred to as ‘browser compatibility’, website compatibility focuses on making websites compatible across a range of browser platforms. Webmasters need to plan out an effective browser testing schedule. To test your website for compatibility, you need to check it on different browsers, operating systems and monitor resolutions among others. If people are unable to easily navigate through a website, they will leave as quickly as they come. The navigational structure of the website is a big challenge for webmasters and web designers. In fact, navigability is the most important aspect of website design. An effective navigational structure of the website enhances usability. The users of a website are a heterogeneous mixture of people hailing from different backgrounds and geographical locations. Your website should be easily navigable for all users, irrespective of where they belong to. Site visitors should be able to easily find the information they are looking for. Whether it is the primary or the secondary navigation, they should be structured to orientate users on the website. The fourth most important issue in website creation is ‘readability’. Readability refers to the practice of delivering the write up in a way that enhances ease of reading. While creating a great website, you should focus on making it readable for all users, regardless of their backgrounds and age groups. 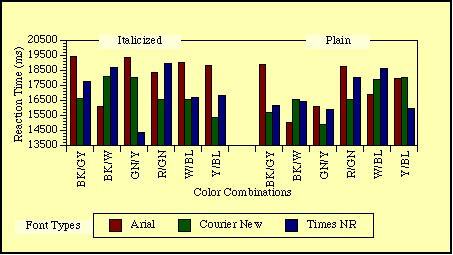 Arial, Verdana and Times are some of the most preferred typefaces. People are used to reading these typefaces. Therefore, it is always advisable to stick to the main typefaces. Always choose a typeface which is clear on screen and is easy to read. The same goes with the layout of the content and text color. Create a content layout (textual presentation) which users can easily skim and scan. In fact, this is the sum total of the other four biggest challenges in website creation, mentioned above. Driving traffic to your website is only half the battle. For winning this battle, you need to engage the readers on your website and compel them to return over and over again. The success of website creation depends on whether or not it conforms to the usability guidelines. In terms of usability, your website should be easy to use and the information should be easy to retrieve for users. Websites that place restrictions (bookmarking not possible, printing problems, disabled back buttons, emailing of link not possible etc.) on users simply damage their website’s usability. RedeemBonusCode.co.uk is an excellent example of a responsive, compatible, well-designed website.